From the Gut Theatre are a young and dynamic theatre company based in South East London formed by three graduates of the London Academy of Music & Dramatic Art, having previously worked together on a number of shows, including The English Game (Old Laundry Theatre), Rent (Bridewell), Low Road (Greenwood Theatre) and Henry IV (Pleasance Theatre). In 2017, we debuted number 40 on stage & screen and launched workshops for prospective Drama School students at Theatre Royal Stratford East. In 2018, we performed our hit play ISTANBUL: You’ll Never Walk Alone at the Edinburgh Fringe. We love to keep things intimate and close to home, working with actors and artists we know and respect, as well as focusing on underdog stories, told from a different perspective and loaded with meaning. To get further updates from the company, sign up to our Mailing List and follow us on Social Media! At the Edinburgh Festival Fringe 2018, we presented our new play, “Istanbul: You’ll Never Walk Alone”. This project marked the company’s debut full-length production, following two years of work. The story focused on the aftermath of a tragic event, the sadly well-known Hillsborough Disaster. Back in the late 80s, many fans of Liverpool FC lost their lives due to the incompetence of the local police, who did not follow proper security protocol at a sporting event. For over 20 years, a cover-up denied justice, and compromised the legacy of the football team. The action took place in 2005, on the Eve of the Champions League Final at the Atatürk Olympic Stadium in Istanbul, focusing on different characters, including a long-time fan of the team, bedridden in a Liverpudlian hospital, as well as a family and two friends at the stadium. Could this game represent the redemption Liverpool FC fans had been longing for? 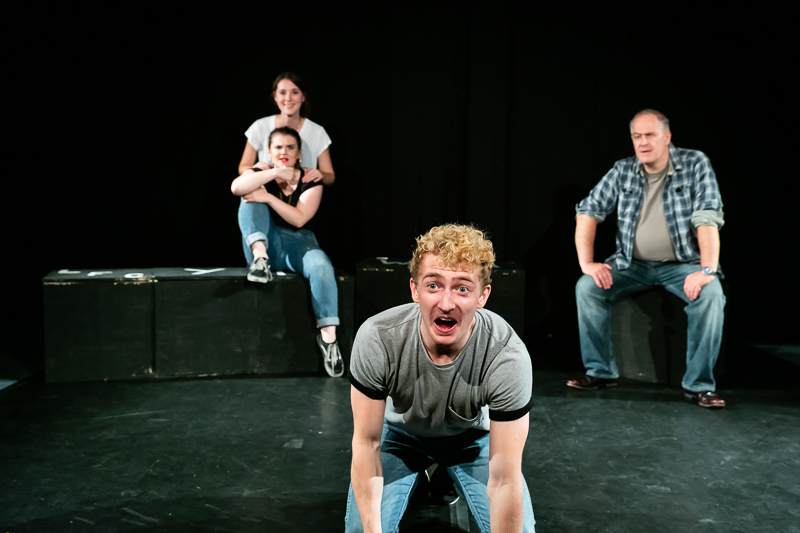 This nuanced play explores the many layers that are often overlooked when glancing at the culture behind football, and what it is like to support a team so fervently. It’s about hope, dedication, family, sacrifice, and passion. 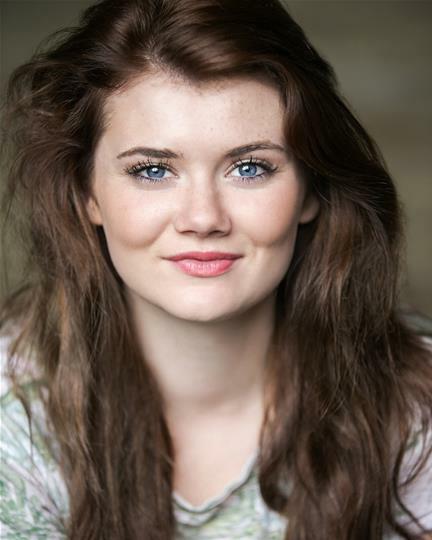 Danielle graduated LAMDA in 2016. 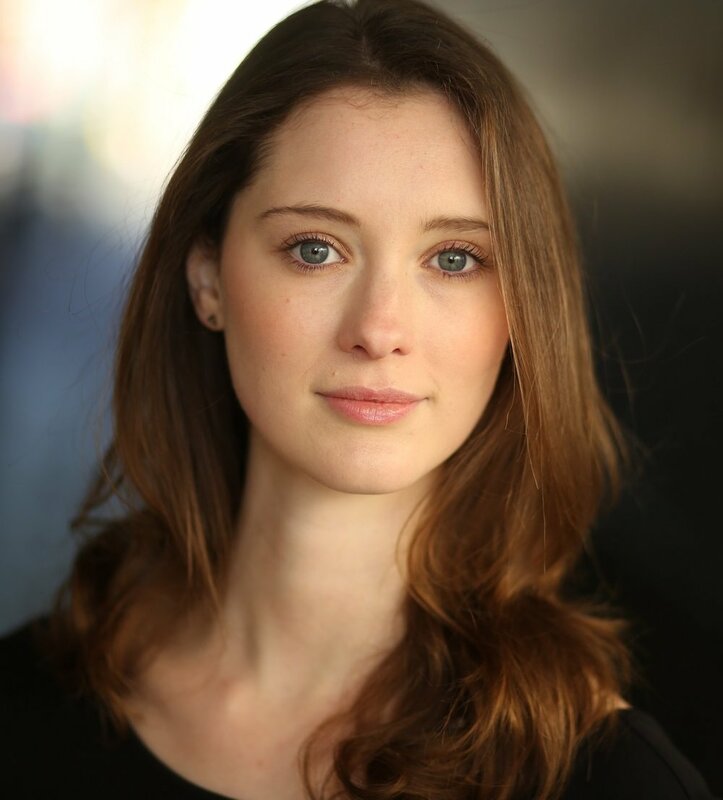 Her theatre credits include David Edgar's 'Trying It On' (National Tour), 'E15’ (Battersea Arts Centre/Edinburgh Fringe) & 'The 56' (National Tour/Edinburgh Fringe) for which she won the Spotlight 'Most Promising Actress Award'. She is also in Steven Spielberg's ‘Ready Player One’ (2018). Mark turned professional in 2015. Theatre work includes The Janitor in the UK premiere of ‘Dry Land’ at Jermyn Street Theatre, Danny Campbell in ‘Sad Girls’ (Katzspace & Edinburgh Fringe) and Dennis in ‘Flutter’ (Soho Theatre). On screen he plays Tom in 'On Order and Away'. Rose graduated from the International School of Screen Acting in 2014 and has since enjoyed leading roles in short films ('Megan', 'A Sensational Story') and on stage ('Sherlock: A study in Scarlet', 'Protocols') and is now looking forward to the premier of her first feature film role ('Book of Monsters') at Fright Fest held in Leicester Square, London later in August. A From the Gut Director, Sam debuted in Billy Elliot (West End) in 2007 & graduated LAMDA in 2015. Subsequently playing the title role in Peter Pan (Regent's Park Open Air Theatre), Chris in 'Murder Mystery' (Short), Josh in 'number 40' (Short) and Boy in ‘The Cat in the Hat’. His Movement Directing credits include 'They Have Long Arms’ (Katzpace) and ‘Heroes’ (theSpace, Bridge House Theatre) and ‘Moonfleece (Pleasance). A dyed in the wool Liverpool fan, 'Istanbul' marks his full writing debut, following short play 'number 40' in 2017. He was only 11 during Liverpool's remarkable Champions League Campaign of 2005, which laid the foundation for his ardent support for the Reds. A From the Gut Director, Nick graduated LAMDA in 2015. A Director of 'Lidless Theatre', Max graduated from LAMDA in 2015. With Lidless Theatre he's written and directed 'The Waste Land' (New River Studios) and 'They Have Long Arms and They Can Find Me' (Katzpace), as well as working with Philip Ridley to revive 'Moonfleece' (Pleasance). Other directing credits include Pebbles (Katzpace) & Heroes (Edinburgh Fringe/Bridge House Theatre/Brighton Fringe). Oliver graduated LAMDA in 2016. His subsequent roles include Macduff in The Macbeths (Pleasance), Haidar in War Whores (Courtyard) & Jeremy in Love for Love, directed by Will Oldroyd. He has also appeared with the English National Opera in Yard Bird. Nick trained at LAMDA, graduating in 2015. Since graduating Nick has appeared on screen in ‘People Just Do Nothing’ (BBC), number 40 (Short) and plays Reese on ‘On Order and Away’ (Amazon Prime). 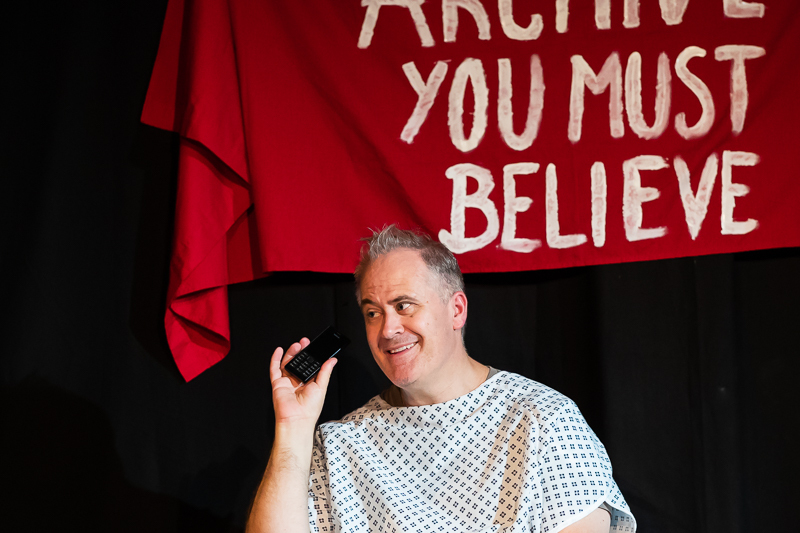 On stage he has appeared as POM in ‘Our Boys’ (Edinburgh Fringe), Laurence Marks in ‘Early Birds’ (Edinburgh Fringe) and King of France in ‘Queen Lear; (Tristan Bates). Nick is an experienced Voiceover artist, clients include Spotify, Netflix, Chevrolet and Mercedes-Benz, his audiobook narration can be found on Audible. Nick grew up in Warwickshire, was part of the RSC's Youth Theatre Program and has a special passion for Shakespeare. While working for the Shakespeare Birthplace Trust, he gave talks on Shakespeare's life and plays. He now practically uses this experience to apply to classical text analysis and performance. Sam debuted in ‘Billy Elliot’ on the West End in 2007, starring as the 12th incarnation of the title role. In addition to this, he has worked in television, commercials, film and theatre. He trained at LAMDA and graduated in 2015. His most recent projects include playing Peter in ‘Peter Pan’ at Regent's Park Open Air Theatre, Chris in the short film ‘Murder Myster’, Josh in ‘number 40’ (Short) and is currently playing Boy in the UK Tour of ‘Cat In The Hat’. Sam also works as a Movement Director, having recently worked on the Movement and Stage Combat on Lidless Theatre’s ‘Moonfleece’ (Pleasance) & 'They Have Long Arms and They Can Find Me’ (Katzpace) and Exploding Whale Theatre’s ‘Heroes’ (Brighton Fringe/Edinburgh Fringe/Bridge House Theatre).